Everyone wants to dress up for Halloween. The kids in the neighborhood are no doubt already telling their parents that they want to be the latest, coolest cartoon person, thing. All the girls on the campus down the street are going to be going around as Harley Quinn. Heck, even your mom still dresses up as a witch. And you have the perfect costume picked out too. Now, all that's missing is your lovable pooch. Even he wants to dress up this year. And, we have just the thing for him. 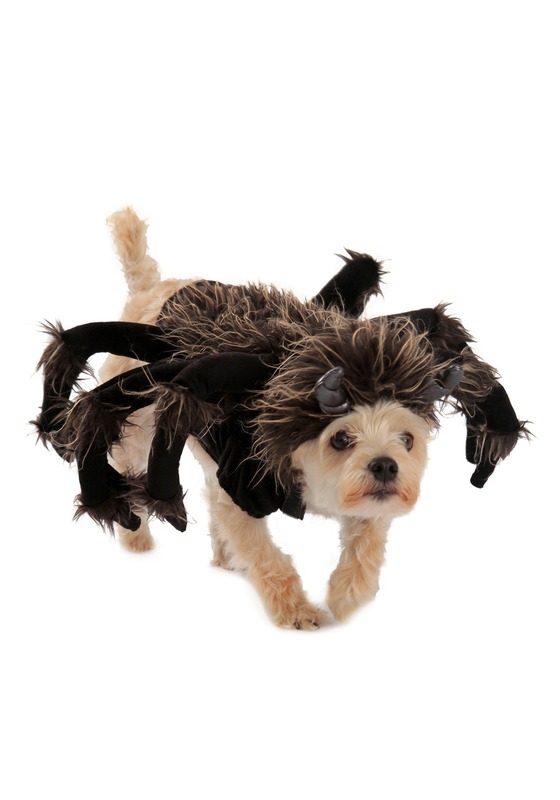 This Tarantula Dog Costume will be sure to satisfy his costume wants. He will be able to freak out the little kids from the neighborhood, and the collage girls will be fawning over his cute little spider legs. His costume might even match your own, which would be perfect for tick or treating, and walks.